At the recommendation of friends, my family and I decided to visit St. Kitts and Nevis for our annual vacation. 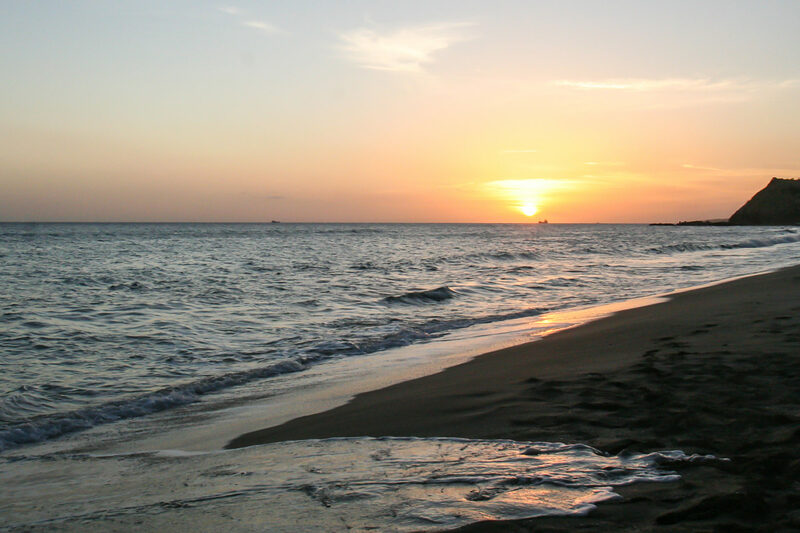 With family-friendly beaches — and one of the most important sea turtle nesting sites in the Caribbean — it sounded like the perfect destination for our summer getaway. Luckily, we were visiting the islands during the sea turtle nesting season. From June to October each year, female sea turtles return to where they were born to carry on the circle of life, laying hundreds of eggs along the miles of sandy beaches. Throughout the nesting season, the Sea Turtle Conservancy hosts hands-on programs for adults and kids to create awareness about the protection of these beautiful creatures. We decided to book a sea turtle encounter with the Conservancy, fascinated by the opportunity to stay up late with our children and seek out female turtles making their way from the water to the beach to lay their eggs. 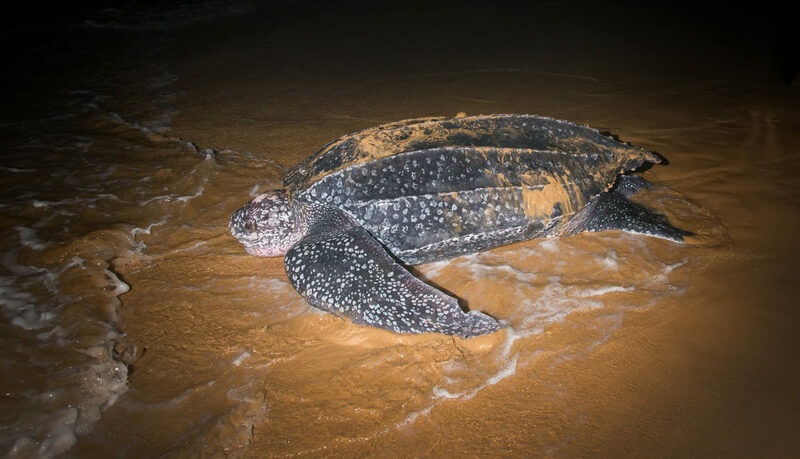 My husband and I hoped that searching for sea turtles under the stars would be a memorable and educational experience for our entire family. Both St. Kitts and Nevis offer this incredible, kid-friendly animal encounter. You can book directly through your hotel or resort. My boys generally go to bed by 8 p.m., so the significance of our midnight sea turtle adventure in St. Kitts and Nevis was not lost on them. We arrived at the beach at around 9 p.m., excited but unsure if we would actually get to witness a sea turtle nesting along the shore. Once on the beach, we learned that we would be accompanying researchers during the evening’s hunt. Sea turtles swim for hundreds of miles each nesting season, and only a small percentage of baby sea turtles survive to adulthood. So these scientists track and record data on the turtles and use it to guide (and teach others about) conservation efforts. The sea turtle encounters are one way the researchers fund their important work. Since the night excursion can be long, it’s not a bad idea to have your kids take a nap beforehand. Also, plan for them to wake up later than usual the next morning. The researchers divided everyone into small groups; our team included eight people, including four kids. The children were humming with excitement at the prospect of spotting sea turtles in the wild. For the next few hours, we walked along the sand, looking for gentle giants emerging from the sea. The sky was a smorgasbord of stars, and the crash of the water against the sand lulled us into a steady rhythm as we searched. By midnight, we were almost ready to give up (you can stay as long — or short — as you and your little ones like). But then we hit gold. We spotted a 300-hundred-pound momma turtle crawling slowly from the Caribbean Sea and making her way up the sand and into the vegetation. 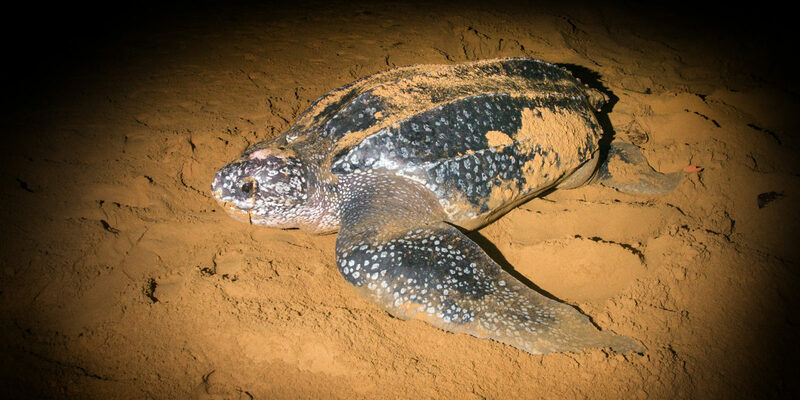 Once there, she dug a hole with her strong flippers and laid about 100 eggs (the nest is called a clutch). Since it’s impossible to tell how long you’ll be out searching, bring snacks, a blanket to sit on, light jackets and water. 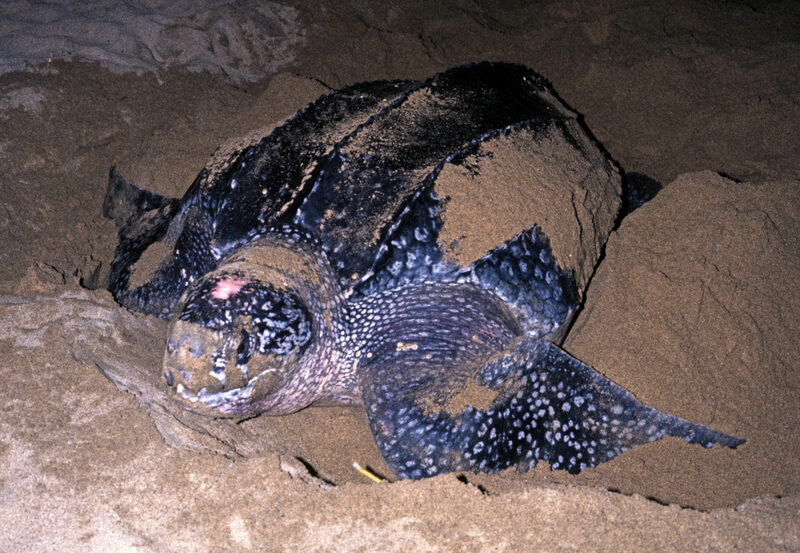 When the momma turtle finished nesting and thoroughly covered her eggs with sand, she slowly walked back to the beach — until the scientists intercepted her. My kids were fascinated as they watched the researchers quickly attach a GPS transmitter to the turtle and release her back to her journey across the sand. The transmitter, the scientists explained, would provide valuable information on the turtle’s migration patterns and habits. It’s this information, and the education of tourists and locals alike, that contribute to the conservation and preservation of these beautiful sea creatures. During the day, if you’re swimming and snorkeling in the Caribbean, you’ll often encounter sea turtles swimming right alongside you. My young son swam with one almost the same size as he is!